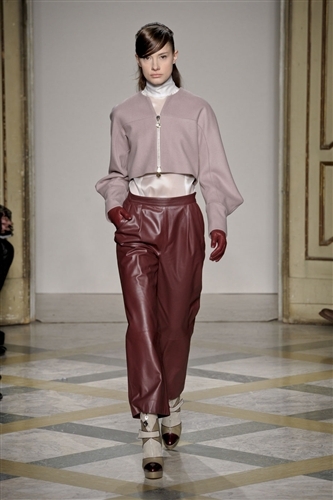 Sergi Grinko presented an unashamedly beautiful collection for this season. 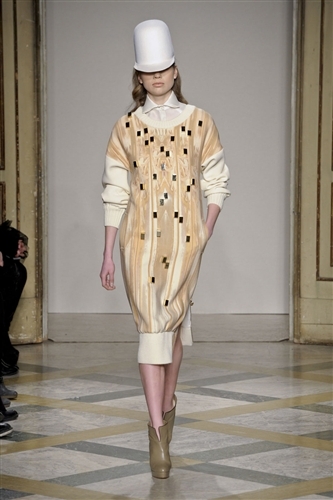 The designs were made with a rich autumnal palette, which conjured up visions of falling leaves and autumn sunshine. One of the highlights of the collection was the print work. 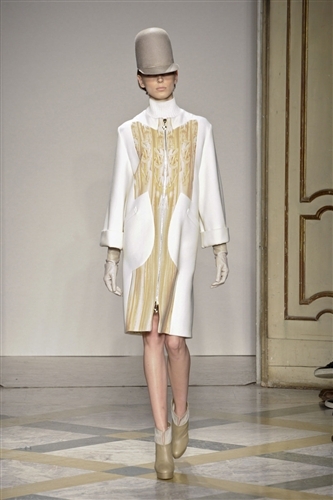 The intricate patterns were organically inspired featuring deconstructed florals and anatomic detailing. 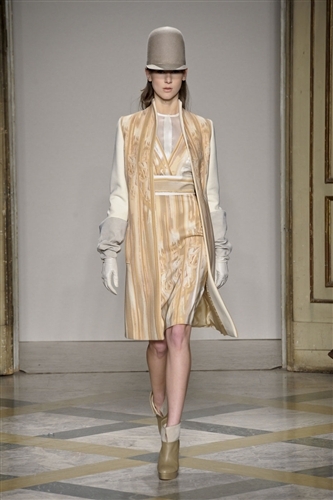 The delicate prints effectively added interest to the designs without detracting from the tailoring. The collection also worked in oversized detailing such out of proportion bows, this Givenchy-esque touch livened up the collection. 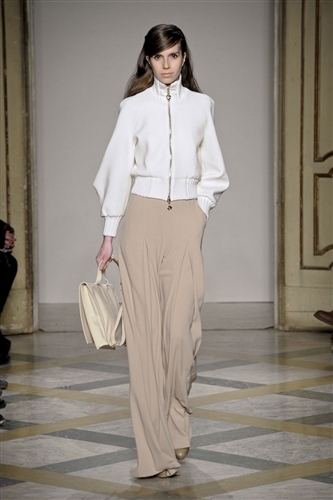 There was also added edge with a gentle nod to kimono styling throughout the tailoring.